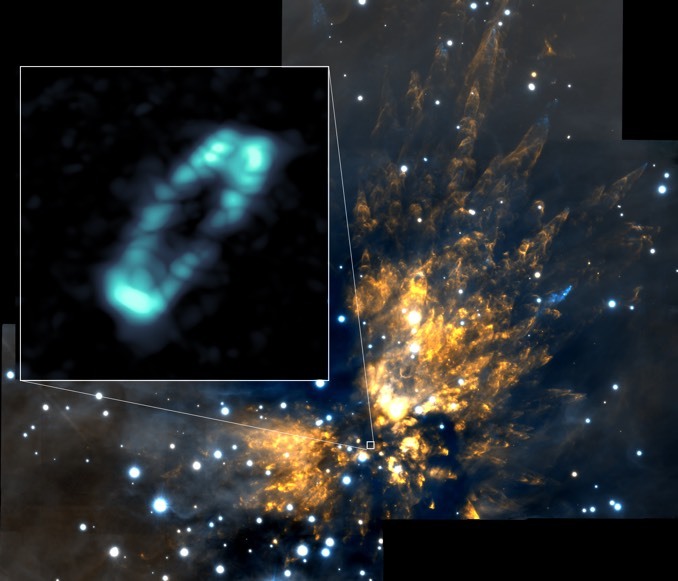 Astronomers using the Atacama Large Millimeter/submillimeter Array, or ALMA, have found the spectroscopic fingerprints of sodium chloride – table salt – in a ring of dusty debris around a massive young star 1,500 light years away that formed in the Orion Molecular Cloud Complex. 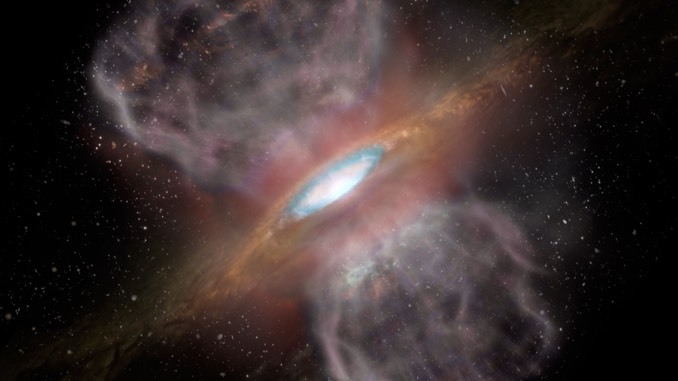 “It’s amazing we’re seeing these molecules at all,” said Adam Ginsburg, a Jansky Fellow of the National Radio Astronomy Observatory (NRAO) in Socorro, New Mexico, and lead author of a paper accepted for publication in the Astrophysical Journal. The ALMA observations include about 60 spectral signatures, or transitions, of salt compounds, signals caused by temperatures in the disc ranging from 100 kelvin to 4,000 kelvin. Such spectral “spikes” may provide new clues about how young stars heat up protoplanetary discs and serve as a measure of its luminosity. The star in question, known as Open Source 1, formed in a region of explosive starbirth known as the Orion Molecular Cloud Complex. The young star apparently was ejected from one of the two huge clouds making up the complex some 550 years ago. The ALMA observations suggest the amount of salt in the disc is roughly equivalent to the combined mass of Earth’s oceans. 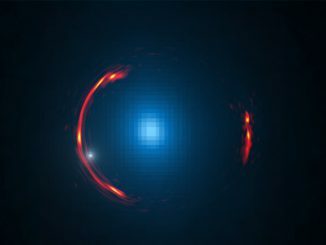 Astronomers using the Atacama Large Millimetre/submillimetre Array (ALMA) have discovered a tsunami of stars and gas that is crashing midway through the disc of a spiral galaxy known as IC 2163. 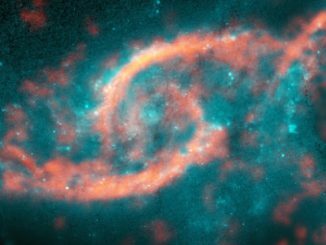 This colossal wave of material — which was triggered when IC 2163 recently sideswiped another spiral galaxy dubbed NGC 2207 — produced dazzling arcs of intense star formation that resemble a pair of eyelids. 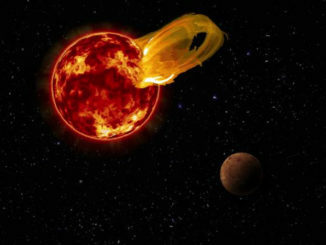 Proxima b, the nearest exoplanet to Earth, was blasted by a tremendous solar flare last March, an outburst that bathed the world in 4,000 times the amount of radiation Earth receives from a major flare.